Six triggers that contributed to last week’s market sell-off. Over the course of a week, the US Treasury yield rose dramatically, pushing past the psychological 3.00% level. 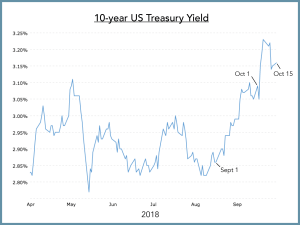 Viewing this rise through the Capital Asset Pricing Model – a model that describes the relationship between risk and the expected return of an investment (typically used for stocks) – we see that the risk-free return for US Treasuries (approx. 3.16%) is affecting the demand for stocks. When US Treasury yields were really low (< 2%) stocks were perceived as a better value because the dividend yield on a lot of stocks was already at 2%. This value helped drive stock prices up. When the US Treasury yield increases, this discounts the prices of stocks relative to the risk-free rate. Additionally, when the increase happens over the space of a month, going from 2.85% to 3.25%, there is an emotional response from investors as well as a logical one. 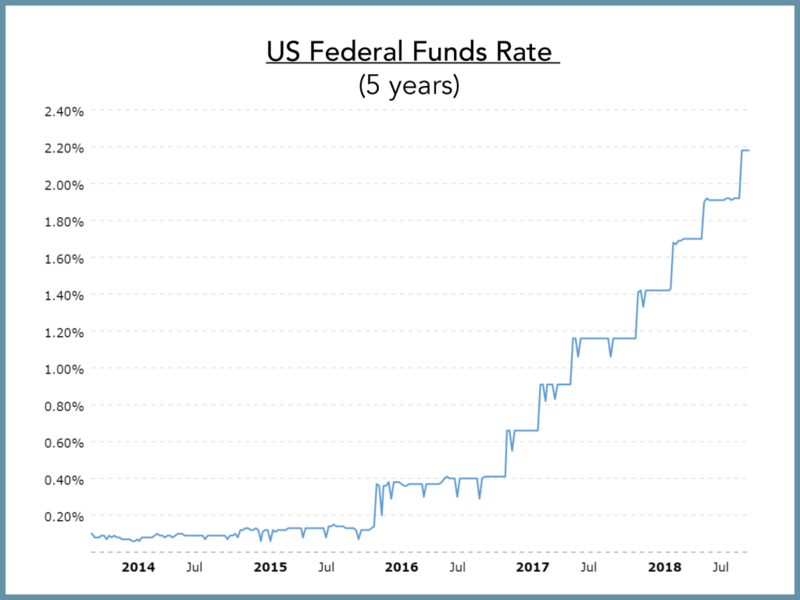 The US Federal Reserve Chairman, Jerome Powell, is very adamant and committed to raising interest rates until they get to something called the ‘neutral rate’. With no real perfect formula for the neutral rate, an easy analogy to explain it is Goldilocks and the Three Bears. Goldilocks didn’t want her bed too hard or too soft, she wanted it just right. The neutral rate is just high enough to prevent overheating but also just low enough to stimulate the economy to perform at its peak potential while giving the Fed breathing room to lower interest rates in the event of recessionary stressors further down the road. When the federal funds rate sits around 2% and inflation sits around 2%, the real cost of borrowing is essentially zero. When the cost of borrowing is low in relation to the cost of inflation the economy is stimulated. If the economy runs too hot for too long there is the potential for it to overheat. While a rise in interest rates can help keep things in check, if the increase happens too fast, or is too high, it essentially pulls a hard brake and economic growth could come to a halt. However, Mr. Powell has signaled that he’s sticking to his plan to raise rates and will not be making any exceptions, and the market is disappointed that the Fed is not switching gears and becoming data-dependent. When volatility spikes, options trading increases and we saw this last week. There was a huge increase in volatility and any options traders using hedges to minimize the market risk felt a lot of pressure to sell. From a technical perspective, this contributed to what we consider a currently oversold condition in the market. When a company decides and announces that they’re going to buy back their own stock, there is a period of time called the blackout period where they can’t actually buy it due to market rules. Typically this means they have to wait until the end of the quarter plus two weeks before purchasing their stock. This week was the first week after the blackout period and the little bit of an up-tick we’ve seen over the last two days may not be a coincidence. What we are seeing is that some companies, not all, are buying back their shares and putting a solid bid underneath the market. This is helping to push the market up as a result of this organic demand. The US economy is showing extreme strength right now. According to the Job Openings and Labor Turnover Survey report released this morning (10/16/2018) there are currently 7.1 million job openings in the US – the highest ever on record with a previous high of 6 million job openings. The US economy is definitely leading the pack and US companies keep beating earnings estimates. However, there is a concern that if the economy gets too strong the cost of materials and wages will go up and inflation will increase. This can lead to reduced earnings and profits and as a result, the market has started to discount for a ‘peak earnings’ scenario. 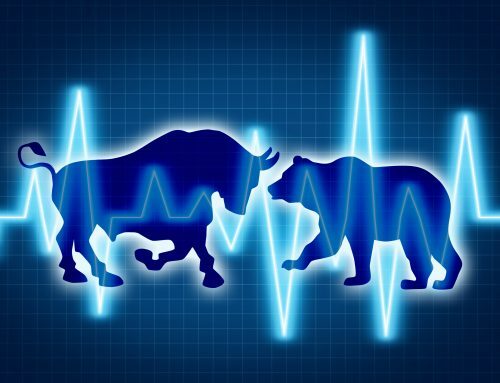 It’s evident to us that the overall strength of the market has deteriorated over the last month. 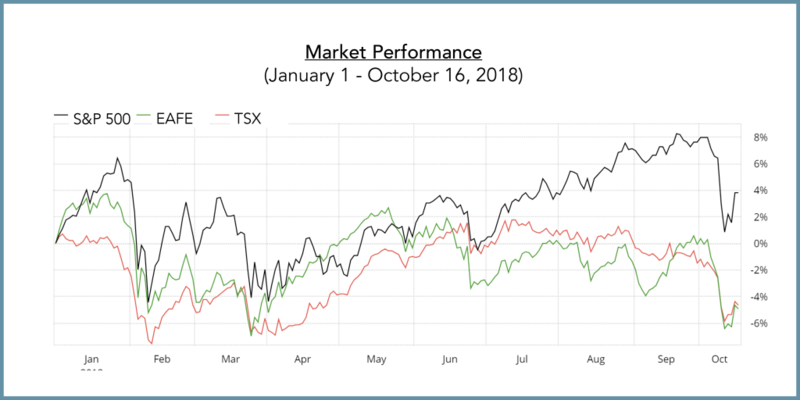 There is a significant difference between now and February 2018 as the market ‘leadership’ has faltered somewhat this time around. 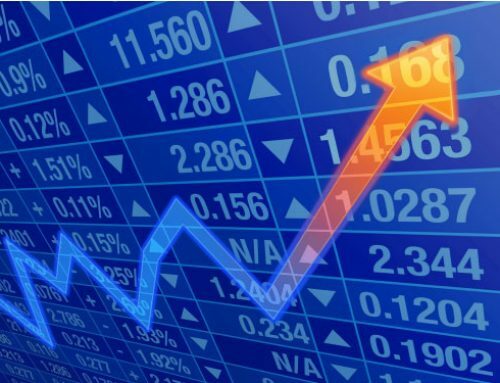 Looking at the FAANG stocks and some of the other stocks that have led the market over the last couple years, they didn’t stumble too much in February and even went on to make new highs fairly quickly. Last week resulted in a lot more pain for those stocks and they actually led the way down. We may be seeing a shift in leadership taking place, which will knock the market during this transition. Small and mid-cap stocks have also been affected more negatively. 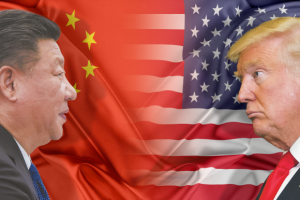 The financial markets are starting to show a few different personality traits compared to February’s agitation, and we will be keeping our eyes on these. There doesn’t appear to be a recession on the horizon, nor have we seen a catalyst that will end this bull market. Notwithstanding, although we had the nice little rebound in the markets over the last couple of days, we wouldn’t be surprised to see a re-test of last weeks lows within the next couple weeks and are expecting a bumpy ride through the rest of October and into November. Remember, you can’t control the market, but you can hire a Tactical Money Manager.